February 1, 2019 by benign0 0 comments on "People who claim “press freedom” is “under threat” are LIARS"
Is Philippine media REALLY under threat? Opposition “thought leaders” keep shrieking that it is. But there seems to be absolutely no evidence that this is true. At best, the notion remains DEBATABLE. Trouble is, Yellowtards aren’t willing to have that debate and prefer, instead, to latch on to their mere beliefs and the preachings of quacks like Maria Ressa. 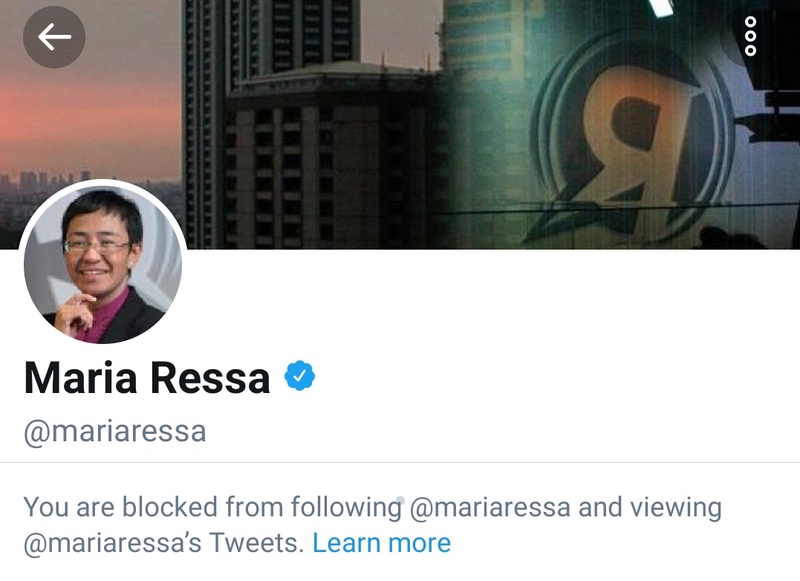 Indeed, Maria Ressa, the foremost “champion” of this ululation, to cite a high-profile example, silences anyone who dares challenge her dogma on the matter. For that matter, many “thought leaders” of the Opposition don’t set a very good example when it comes to being open to having their views scrutinised and challenged. 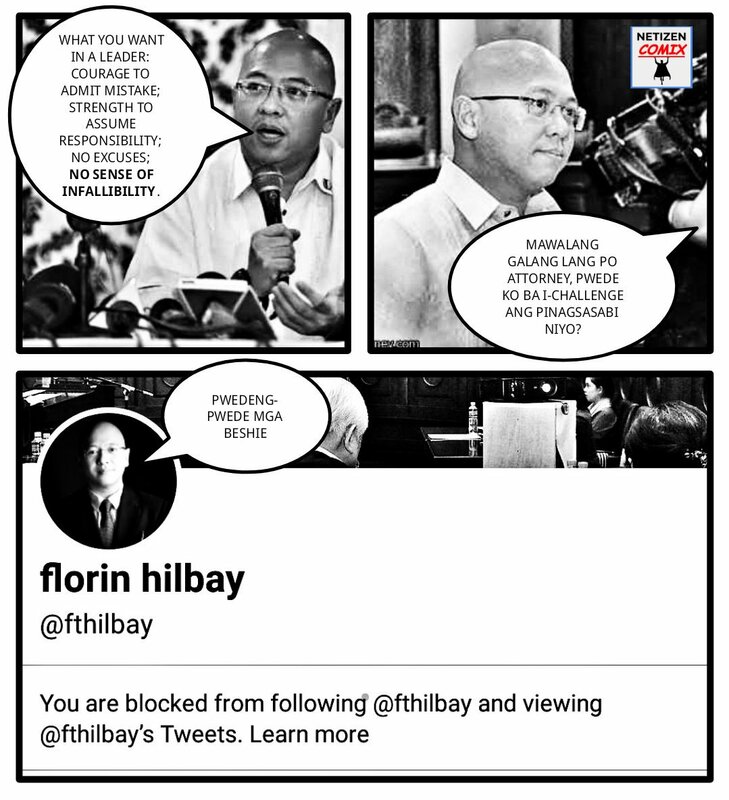 One such example is Opposition senatorial candidate Florin “Pilo” Hilbay who is renowned for his quick trigger finger when it comes to blocking dissent. Proponents of the idea that the media and, for that matter, anyone associated with the Opposition are “victims” of some sort of conspiracy to “attack” them seem to turn a blind eye purposely to a really plausible alternative view — that, perhaps, the real threat to media is NOT curtailment of freedom but the degenerating quality of Filipino journalism and, even more disturbing, dishonest journalists. This is the real debate that is begging to be had. It’s time those who latch on to one inbred view open themselves to that important debate lest they become the villains in the very narratives of “victimhood” they reassure themselves with. Previous Previous post: Yellow Opposition now say cleaning Manila Bay is “easy”. Why didn’t PNoy do it?